Learn To Trade In Tough Times. Have you been watching this? The market has been going nuts over the past few weeks and it’s really sorting the men from the boys. I’m hearing from the front lines that many traders have lost almost their entire trading float! How are you going? Did you get burnt? I just recorded an emergency webinar with Justine Pollard to recap what’s been happening and more importantly how to survive and thrive in these difficult times. – What’s causing the world markets to tank? – The 4 stages of the market and where are we? 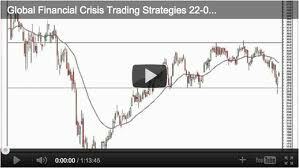 – How to adjust your trading style to adapt to the new conditions? – What are the most effective ways to reduce risk? Go ahead and check it out… if you want to learn to trade or are already trading this is critical, timely advice. Watch it now. I’m more into online marketing but I’ve received advice to tap into other modes of generating income streams. They say it’s a good idea to diversify. Trading might be a mental challenge but many of my friends have started exploring it. It might be high time I started learning how to trade as well. Thanks for the video. Thanks for stopping by… I’m definitely into multiple streams of income. This think to have solid wealth creation strategy you need to look at business, real estate and trading. It’s great to hear trading so clearly explained. Also, an encouragement was to see Justines’ actual trades and have her explain the reasoning behind each one. I learnt a lot. The most exciting project since selling the MCG! The Super Awesome Micro Project. An Interview With Rob Burns: Press Releases, Social and Video – A Killer Combo. Is This Perhaps The Best Podcast On iTunes? Outsourcing To The Philippines – The Real Deal.